With the aim of building a long-term presence of cleft lip and palate treatment and rehabilitation in the community, we support the development of local, multi-disciplinary medical teams. Here, we shine a spotlight on Dr. Ampomah from Ghana. 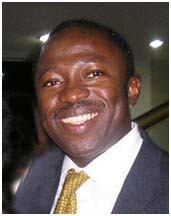 Opoku Ware Ampomah is a Plastic Surgeon and the Director of the Reconstructive Plastic Surgery Plastic Surgery and Burn Centre, Accra, Ghana, a TF partner institution. He attended the 12th International Cleft Congress in Orlando and attended sessions on Cleft Surgery, Outcome assessment/evaluation and Comprehensive Cleft care in Developing countries.